Adeline’s sire is our own Eclipse bull and out of FMS Anna, purchased as a heifer calf back in 1997, from Billy Mullenix, Georgia, USA. On the bottom side of Adeline’s pedigree are many proven sires from the past including Siegfried, Sabat and Iglhoff. 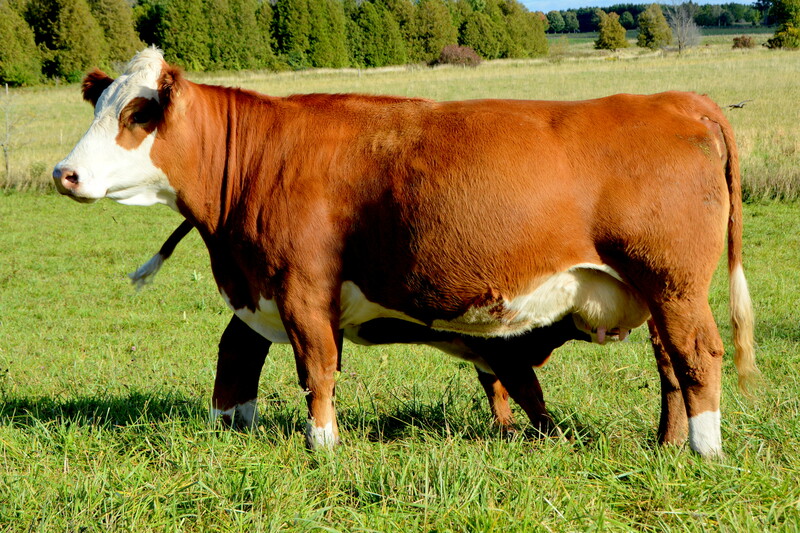 Adeline’s 2014 model in our heifer pasture this summer was sired by our Platinum bull and is bred San Mar Pharao for a January 2016 calf. April 66B will be offered for sale this fall.